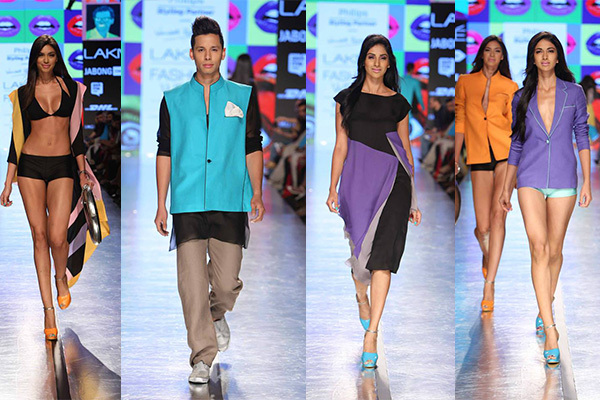 Wendell Rodricks took to Pop Art with his collection titled ‘Popology’. A burst of colours coupled with the 60s style and silhouettes were seen on bikinis, capris, hot pants and shirts for women, and linen jackets paired with crépe silk pyjamas for men. Shivan and Narresh‘s swimwear range played canvas to French artist Henry Rousseau’s botanical visuals in addition to lehengas, saris and pallazos. But above all, the impeccable nail art took centre-stage. 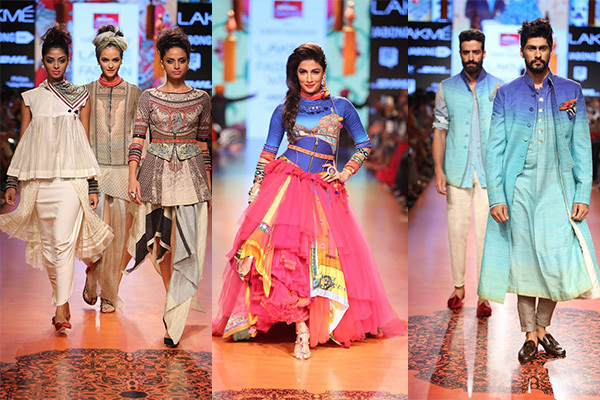 Tarun Tahiliani‘s collection continued to take inspiration from the Singh twins and their miniature paintings. Reinvented sari drapes infused with bright multi-colours, fitted gilets, dhotis, lungi skirts and jewelled tees with hints of Russian folk art followed by wildly printed shirts, waistcoats and sherwanis summed up Tarun’s ‘Past Modern’ collection. 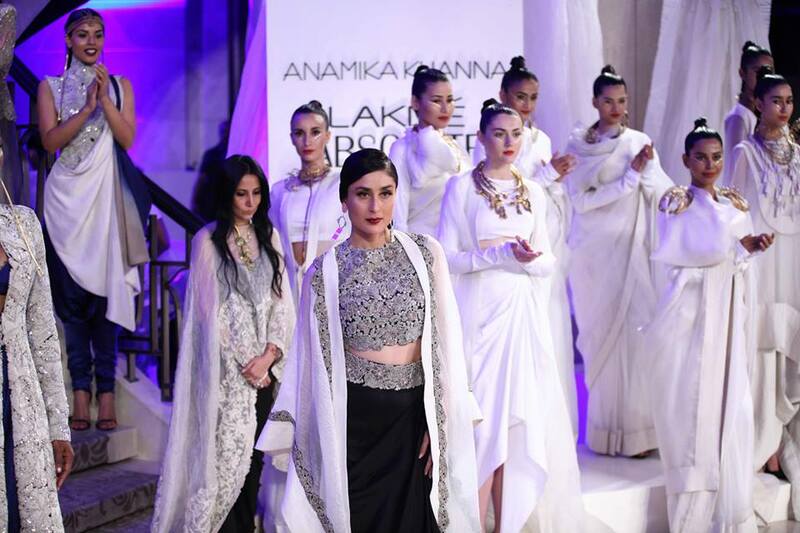 Bringing a perfect end to Lakmé fashion week Summer Resort 2015, Anamika Khanna showcased some of the statement looks of the season. The label, being synonymous to impeccable craftsmanship and construction, offered draped silhouettes with long flowy-jackets, sarees and lehengas. And finally, kudos to the Lakmé and Reliance team for putting up a top notch show despite the sudden change in venue. How beautiful it could have been at the Bhau Daji Lad museum? Only our imagination can tell. In case you missed it: Opening show, Day 1, All Access Day 1, Day 2, Day 3, All Access Day 2 and 3, Day 4.